Fall is my favorite season but it is also the one that I get the least time to enjoy. Fall is a foreshadowing, bringing the prospect of winter and 7 months of frozen ground and cold. To be ready for winter we must have all of our winter animal shelters ready, water, hay and fencing all lined up properly. I am not going to pretend that I am ready or that it will be smooth. We were overly ambitious this summer and the roof needs to be put on the new barn, the new water system needs a pump and winter pig area needs a bed of wood chips. Oh and the house addition needs a chimney, insulation and a roof. 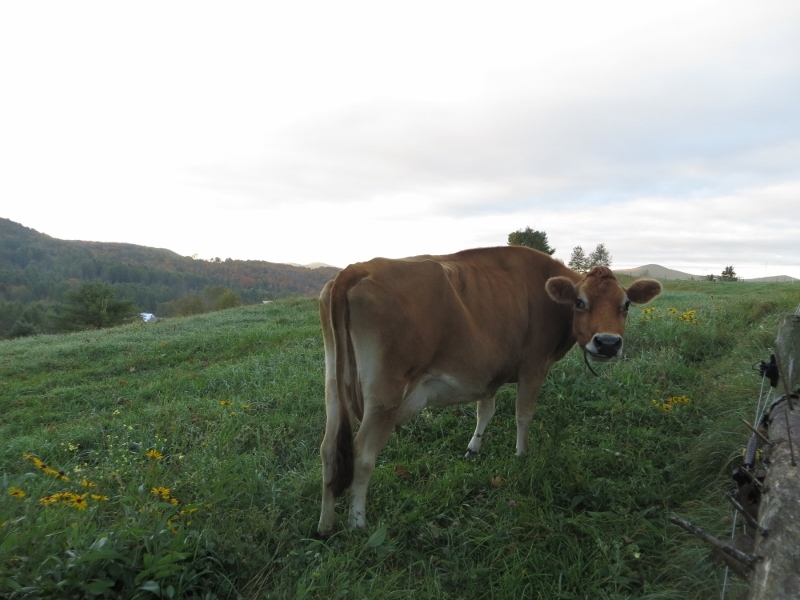 We are just beginning to think about bringing our cows and sheep back from their summer pastures. The sheep have another 3 weeks of grass but the cows need to be brought back and put on hay. This week will be our last summer farmers market and we will say goodbye to our last batch of meat birds and turkeys. I like to think that with these things wrapped up I will have time to finish the barn and our house addition. The truth is I am not so secretly hoping for a glorious and long fall, another three months before snow and frozen ground please. This is a dangerous thing to do with our increasingly unpredictable weather but this is my favorite season and I would like for it to last. This entry was posted in Blog, Uncategorized by wintermoonfarm. Bookmark the permalink.